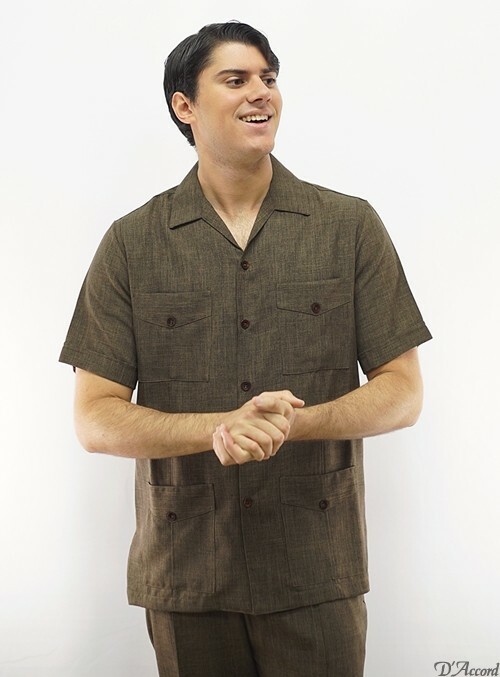 D S & G Shirts & Guayaberas offers a convenient retro guayabera leisure suit category for online shopping. 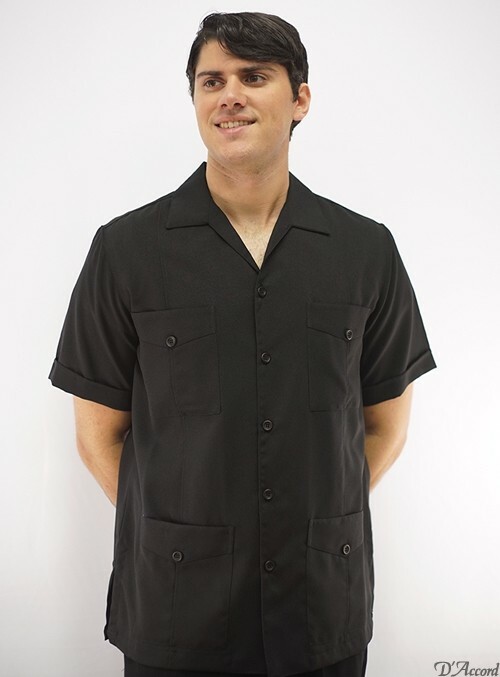 These retro guayabera leisure suits are manufactured in the USA. 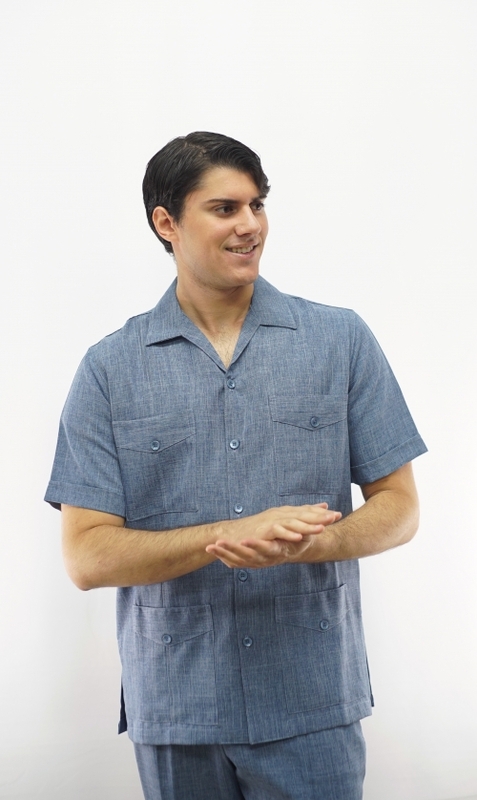 The fit of the retro guayabera shirts equal the the fit of our world class guayaberas. The fit is full cut and true to size. 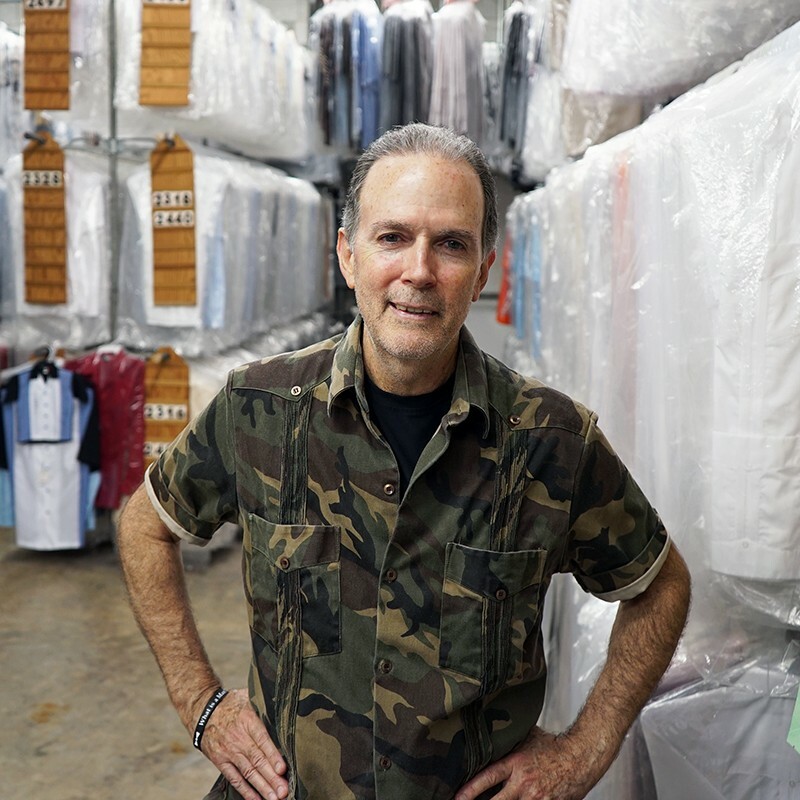 The fully constructed pants are manufactured in the USA. 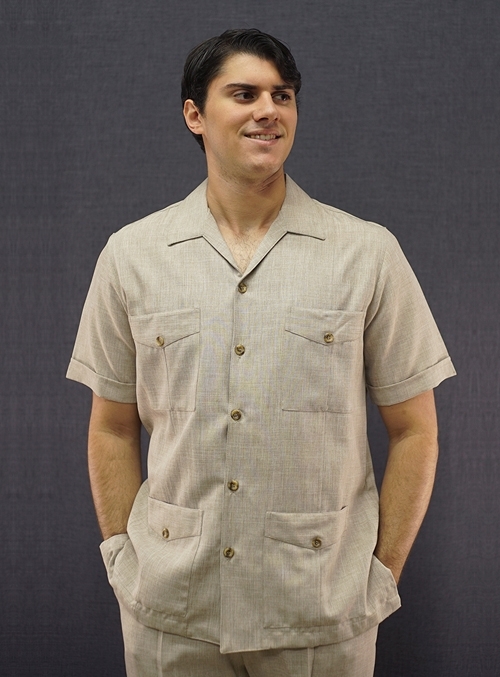 These retro guayabera leisure suits are cut like a suit with a 6 inch drop. In other words the size Medium that is size 40 top so therefore the pants are a size 34 inch waist. You may pick the size you need by viewing our size chart. 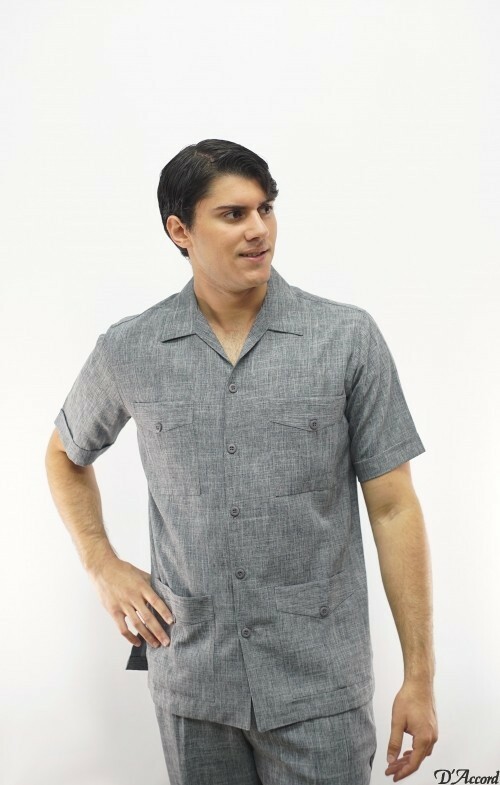 Thank you for your business and we know you will be satisfied with our retro guayabera leisure suits. 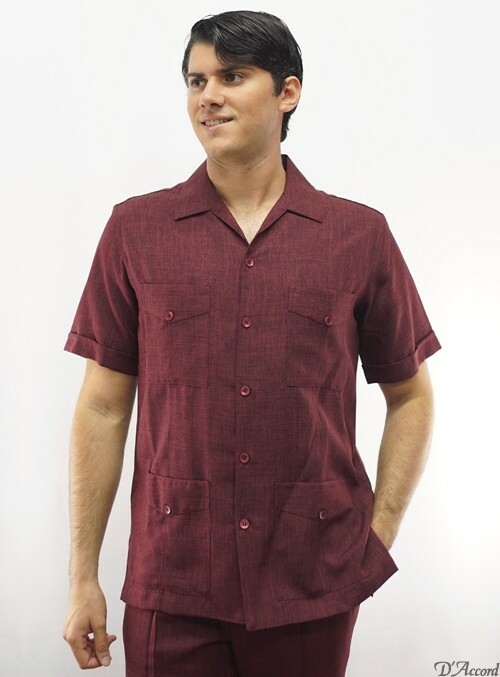 Guayaberas Safari Set Leisure Suit BURGUNDY,BROWN, SAGE Sizes ML D’Accord 8287.